2017 has seen casts, creatives, crew and all MTC staff pushed to new and daring heights. MTC ends the year with a new box office record, the largest subscriber base of any theatre company in the country and an abundance of artistic triumphs at home and abroad. As we look back on 2017, here are some of our favourite memories on and off stage. Welcome to the 1940s, where glamour and prosperity mask the dark side of politics in Washington DC. Our first show of 2017, Born Yesterday, presented mid-century America in all its lavish, post-war glory. An economic boom can be seen most plainly in the dresses of the day, beautifully designed by Set & Costume Designer Dale Ferguson. Johnny Carr, Ursula Mills and Helen Morse discussed Annie Baker’s mesmerising and intimate new play, John, which was one of Time Out’s Top 10 shows in Melbourne this year. Truth, like drama, is subjective. 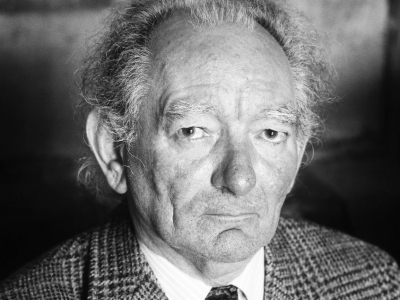 Master playwright and Irish literary hero Brian Friel explores this concept in his imaginary town Ballybeg; a setting that spans two centuries and holds the secrets of his most lauded characters. 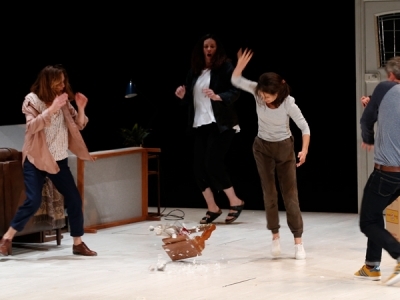 In the final scene of Joanna Murray-Smith’s acerbic comedy Three Little Words, a treasured family heirloom smashed spectacularly on stage – the Tantalus. We had a look at how you smash a priceless possesion on stage every night. Kate Atkinson smashes Tantalus in Three Little Words. Set & Costume Designer Mel Page returned from Oslo, Norway to reunite with her long-time collaborators Lally Katz and Anne-Louise Sarks on the production of Minnie & Liraz. When director Anne-Louise approached Mel to design the set and costumes of Lally’s new play, she knew it was an opportunity that was hard to resist. 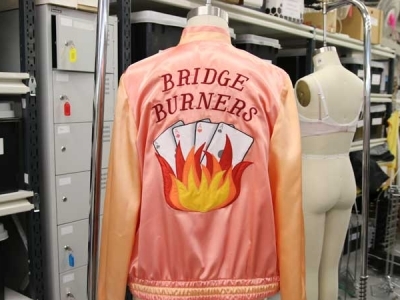 Looking at Mel Page’s jackets behind-the-scenes at MTC HQ Wardrobe. MTC’s 2017 education show Melbourne Talam wrapped a seven-stop regional tour, completing their 31st show at Launceston College in Tasmania. Community Outreach Manager Karin Farrell told us the ins and outs of theatre on the road. on Melbourne Talam’s regional tour. In Macbeth, the witches instigate the downfall of Shakespeare’s greatest tyrant. Shareena Clanton, Kamil Ellis and Jane Montgomery Griffiths tell us about their experiences embodying the three ‘weird sisters’ in SImon Phillips’ production. 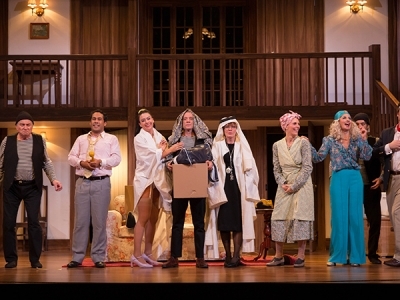 ‘In all my years working in live performance, there are few – if any – productions that have matched the pure joy audiences get from watching Noises Off.’ – Brett Sheehy on Noises Off. The cast of Noises Off on stage. Hold onto your wig. 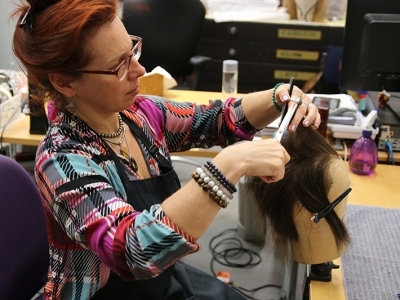 MTC wig maker Jurga Celikiene has been raising-hairs with her specialty wigs for 10 years. Here, Jurga shows us her process of wig making. Jurga Celikiene shows us how to make a wig. In centre place (because she demands it) of Noël Coward’s comedy of manners Hay Fever, is the illustrious, revered, grande dame Judith Bliss. 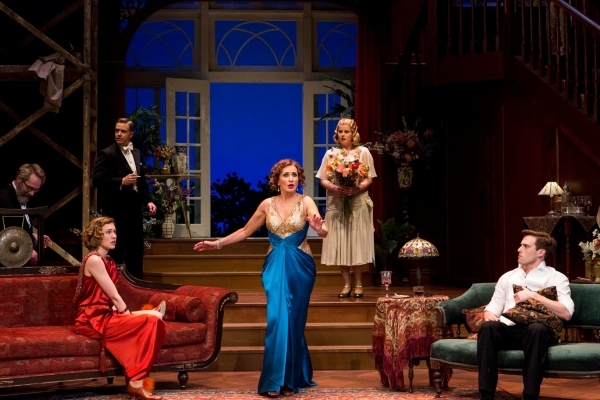 Humble and charming is the actor who portrayed her in MTC’s production – Australian stage legend Marina Prior. Marina Prior discusses playing one of the most ‘delicious’ characters of theatre, Judith Bliss. Theatre luminary John Bell spoke about his love of Shakespeare, his role in Australia’s new wave theatre movement, and his performance in a powerful, funny and deeply moving play, The Father.